JOIN OUR WILD FAMILY TODAY! 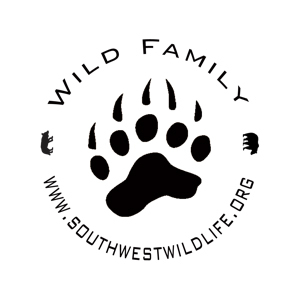 If you are a current Wild Family member and need to change or manage your account, please contact us by email at wildfamily@southwestwildlife.org. HELP ANIMALS ALL YEAR ROUND BY MAKING A MONTHLY GIFT TODAY! Join our Wild Family! When you become part of Southwest Wildlife's Wild Family by signing up to make monthly donations, you’re providing gifts that can be used by animals in urgent need. Our Wild Family is a special part of Southwest Wildlife because your gifts are consistent and reliable and - just like family - the animals can always count on you to be there when they need you most. As part of our Wild Family you'll receive occasional updates about some of the animals you helped rescue. You'll also be invited to attend our Family Reunion, an annual event just for Wild Family members held at the Southwest Wildlife facility. By checking the box above you are confirming that you've chosen to Join Our Wild Family. Your card will automatically be charged each month for the amount you select. Prefer to make a one-time donation? Click here to return to our Donate page. Have Questions? 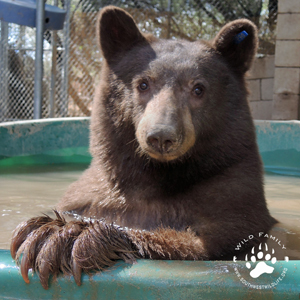 E-mail us at wildfamily@southwestwildlife.org and we'll answer any questions you may have about the Wild Family monthly giving program. What can your monthly contribution do? YOUR WILD FAMILY MONTHLY DONATION MAKES LIFE BETTER FOR THE ANIMALS. Thank you!